Order in the next 7 hours 16 minutes for delivery on Tuesday, April 23. 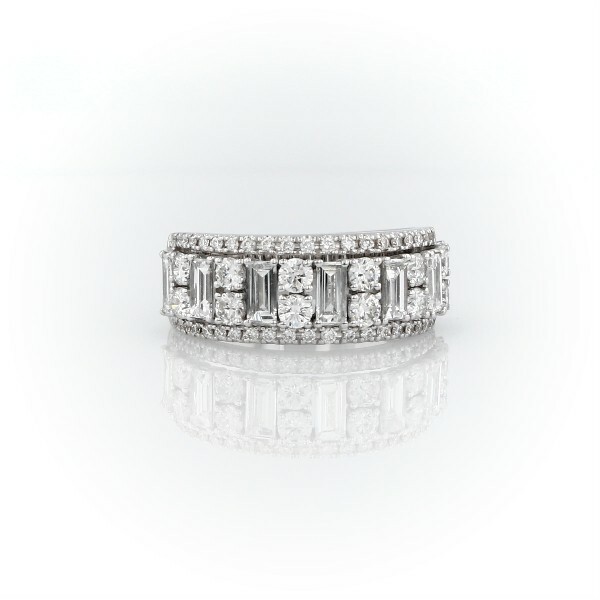 There's nothing reserved about this fantastically brilliant display of varying sizes of round-cut diamonds alternating with big, bold emerald-cut diamonds, all prong set in bright 14k white gold. Due to this ring's delicate nature, we do not recommend for daily wear and are unable to repair.